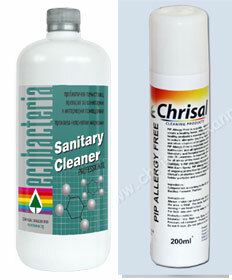 Established 2002, Chrisal Balkan has been offering, on the Bulgarian market, innovative cleaning and disinfecting products for all type of surfaces. Our products, probiotics, enzymes and separators, are completely harmless and safe to humans and the surrounding them environment. Additionally, we offer products against mites and allergies caused by them as well as products that can prevent Healthcare Associated Infections. Since 2002 we have been producing and offering a new generation of environmentally friendly and safe cleaning products. We are the official representatives of CHRISAL, Belgian company that is a world leader in the industry. We offer products that are water-, enzyme- & bacterial-based. Our water-based products are able to separate the dirt from the surface without causing a chemical reaction. They are environmentally safe as within 28 days they break down into basic elements that are found in nature and are completely safe to humans. We offer a vast array of water-based products that have multiple applications from the kitchen in one’s house to industrial facilities. Our enzyme-based products are extremely versatile in the food industry, restaurants and at home. The enzymes have the capability of instantly breaking apart the molecules of organic contaminants, which makes them very helpful across these sectors & areas. Our probiotic- & bacteria-based products are our newest addition. They are our most powerful weapon against dirt. They are made of safe for human bacteria that have the characteristics to colonize the cleaned surface and prevent it from getting too dirty again. That characteristic of theirs makes them the best contestant in the fight against the spreading of Healthcare Associated Infections. 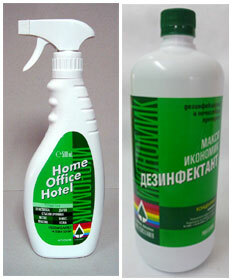 During the Expo we will present a new generation disinfectant called Disinfectant Economic, which is biocide based. The product can disinfect any surface types and instruments in medical facilities, common areas, food industry and especially can be used in the school system and kindergartens. We would like to meet principals of kindergartens and schools, directors of medical facilities, managers working in the food industry as well as representatives working on environmental projects. Additionally, we are looking to expand our labor sales force within the country.